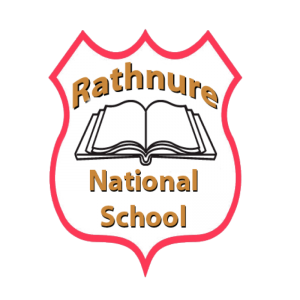 The Board of Management of Rathnure School recognises that its statutory obligations under legislation extends to employees, students, to any person legitimately conducting school business, and to the public. Employees using available facilities and equipment provided, should ensure that work practices are performed in the safest manner possible (see section 9 of safety, health and welfare at Work Act 1989). It is the policy of the Board of Management of Rathnure School to consult with staff in preparation and completion of hazard control forms, to give a copy of the safety statement to all present and future staff, and to convey any additional information or instructions regarding health, safety and welfare at work to all staff as it becomes available. Health, safety and welfare at work will be considered in any future staff training and development plans. All doors, corridors, and entries shall be kept clear of obstruction and shall be able to be opened at all times from within the building. Each teacher who has an exit in/near his/her classroom must ensure it is kept clear. P.E. hall and main door – Principal will see they are free of obstruction. All electrical equipment shall be left unplugged when unattended for lengthy periods and when the building is empty. Teachers are responsible for their own classroom. The secretary/Principal, as appropriate, are responsible for the office. Staff room is every teacher’s responsibility. Cleaner to check when cleaning. Principal will check that PE equipment is stacked securely and in positioned so as not to cause a hazard. Check that wooden beams, benches etc. Are free from splinters and generally sound Principal. Check that vaulting horses, beams and benches are stable and do not wobble when in use. Principal. Will check that roofs, guttering, drain pipes etc as far as can be seen are sound and well maintained. Board of Management Safety Officer. Check that all play areas, especially sand pits, are kept clean and free from glass before use. All video display units should have a screen in front of the computer. All staff to use travel mugs when having hot drinks outside the staffroom. It is the policy of the Board of Management of Rathnure School that machinery, kitchen equipment and electrical appliances are to be used only by competent and authorised persons. Such appliances and equipment will be subject to regular maintenance checks. Unplug leads of appliances when not in use. It is the policy of the Board of Management of Rathnure School that all chemicals, photocopier toner, detergents etc be stored in clearly identifiable containers bearing instructions and precautions for their use and shall be kept in a locked area, and protection provided to be used when handling them. (Secretary/Cleaner/Principal where appropriate). It is the policy of the Board of Management of Rathnure School that all drugs, medications, etc be kept in a secure office, locked at all times and accessible only to trained and authorised personnel. It is the policy of the Board of Management of Rathnure School that every attempt will be made to avoid the creation of slippery surfaces. The washing of floors shall be conducted, as far as is possible, after school hours to eliminate as far as possible, the danger of slipping. Where floors are wet, warning signs regarding wet floors shall be used. Attention is drawn to the possibility of outside floors and surfaces being affected by frost in cold weather. It is the policy of the Board of Management of Rathnure School, that the school shall be a non-smoking area to avoid hazard to staff and pupils of passive smoking. It is the policy of the Board of Management of Rathnure School that the advice contained in the guidelines on the safe operation of visual display units, issued by the Health and Safety Authority be carefully followed. Any up-to-date information regarding hazards relating to the use of VDU’s will be studied and recommendations and directives implemented. It is the policy of the Board of Management of Rathnure School that all infectious diseases shall be notified and steps taken to ensure the safety of staff and students against all such diseases. The Board of Management will endeavour to minimise the risk by adherence to sound principals of cleanliness, hygiene and disinfection and have provided disposable gloves for use in all First Aid applications, cleaning tasks, etc. Toilets and washrooms shall be provided at all times with an adequate supply of water, soap, towels and a facility for the safe disposal of waste. It is the policy of the Board of Management of Rathnure School that a member of staff shall be trained to provide First Aid to staff and pupils. All incidents, no matter how trivial and whether to employees or to students or to members of the public must be reported immediately to the person responsible for the hazard identified in the Statement or in the event that the accident/incident occurs in any other place to which that paragraph dealing with hazards does not relate to the Safety Officer. This is necessary to monitor the progress of safety standards and to ensure that the proper medical attention is given where required. An Accident book is to be maintained for the recording of all accidents and incidents by the Safety Officer. Cars are advised to drive slowly on entering the car park when collecting children. This statement shall be regularly revised by the Board Of Management of Rathnure School in accordance with experience and the requirements of the Health and Safety Act and the Health and Safety Authority.